Rosemary and Harry Wong wrote the book on teaching—literally. “The First Days of School” has sold more than 3.7 million copies, and Rosemary recently found a perfect way to weave her teaching expertise into a gift to the LSU College of Human Sciences & Education. She is a 1977 alumna of the college and was honored with its 2012 Distinguished Alumni Award. The Wongs are former award-winning classroom teachers who share with the profession what it takes to be an effective teacher. Considered by many to be the leading speakers for new and experienced teachers who want to be more effective in the classroom, they book speaking engagements up to two years in advance. Last year, the Wongs partnered with the College of Human Sciences & Education to conduct their first two-day Effective Educators Seminar in downtown Baton Rouge, drawing 1,200-plus participants. This year, in addition to a seminar in Baton Rouge, they will co-host with LSU a seminar at Governors State University in Illinois. The seminars feature the Wongs and educators who have transformed their schools by using the Wongs’ methods. They focus on basic, common sense, research-based techniques that are free to implement. Rosemary enjoys being able to provide teachers with the information they need to succeed. “Teachers are eager for help and support and truly want to help kids be successful in the classroom,” she said. 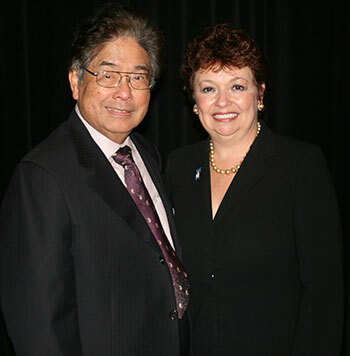 The Wongs donated a significant portion of their 2012 seminar profits to the college’s Excellence Fund. Rosemary taught in East Baton Rouge Parish for five years before moving to be with Harry in California. There, she taught for 10 years, then began to work and produce educational materials with Harry. The Wongs own Harry K. Wong Publications, an educational materials publishing company in Mountain View, Calif., of which Rosemary is the CEO.